As John Palmer has moved into his second career as a landscaper, he’s focused much of his attention on tree and shrub installations—and the poor planting practices that have become the norm. More than 15 years of experience as an arborist led Palmer, an International Society of Arboriculture Certified Arborist and owner of PlanetCare Landscape & Arboricultural Services in Lakewood, Ohio, to develop a term to describe the unsustainable practices he’s witnessed: Deforestation by Design. PlanetCare is an under-$100,000 company that offers 30 percent lawn maintenance, 20 percent ornamental pruning, 20 percent cleanups, 5 percent installations, 8 percent snow removal and 17 percent other (such as consulting services and chemical applications) to a mostly residential clientele. Q: Tell us about Deforestation by Design. A: Deforestation by Design is the design and installation of plant material in violation of known plant care standards, resulting in predictable decline or death. For example, planting an evergreen 6 feet from the house results in predictable decline because eventually, you’re going to kill it or have to move it. Planting large trees in little holes surrounded by concrete, asphalt and brick is a violation of a known plant care standard, and it’s going to result in predictable decline or death. We, as a landscape community, do a really horrible job of giving trees the best chance to succeed. We use the word sustainability a lot. If you plant a tree that should live 50 years in a spot and it lives five or 10 years, are you really being sustainable? My conclusion is no. To me, what makes something unsustainable are practices that guarantee a shortened life expectancy of installed plant material. The other issue with deforestation is that we cut down big trees and replace them with fewer trees or smaller trees. Q: Why do people cut down the bigger trees? A: Big trees scare people. You always see it on the news when a tree falls over and injures or kills someone. Large tree failures are like airplane crashes. Statistically, they don’t happen that often. We’ve had really poor tree pruning practices. The tree industry and the landscaping industry both have created less safe trees as the trees get older and larger. Then, rather than try to replant a larger tree with an 800-pound root ball, it’s easier to get a tree with a 50-pound root ball that was grown in a pot and is 4 feet tall. Usually the two factors involved are ease of installation and cost. It’s easier and cheaper. We’ve also now moved to hardscapes. When you put in a patio, deck, wall or hardscape, the moment you cut the ribbon, that piece on your property starts depreciating. Trees on the other hand, the moment you put them in, they start appreciating. A tree on a person’s property can raise the property value by 10 to 15 percent. Q: What are some of the top installation mistakes you see? A: In the arboricultural community, we like to call it planting trees in teacups. People come in with a Bobcat, dig down, plop the tree in, kick over some clots of clay and throw some mulch on it. The average lifespan (of a street tree) is—at least in a 1992 study—about 13 years. A mature tree has six or seven times the value of a small tree of the same species. It makes sense for people to plant larger trees. Even just medium-sized trees. Another mistake is planting things too deep. The other one is volcano mulching. More than 80 percent of a tree’s roots are within the top 6 to 8 inches of soil. They spread out roots really wide. The roots don’t go down deep, so you don’t need much moisture to get down into that root zone. There’s a really dense area right at the base of the tree called the root plate, where a lot of moisture is absorbed for the tree. If you pile on 4 inches of mulch, most of the moisture gets into the mulch and never makes it down to the root zone. Q: What are some important site considerations and what can landscape pros do to follow these considerations? A: You have to think of the mature size of the tree when you plant it. If the tree and the house are in conflict, the tree is going to lose. The mantra in the tree industry is right tree, right place. 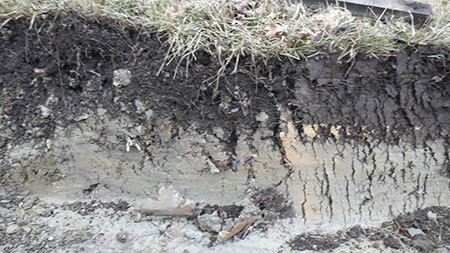 The most important site characteristic is the compaction of the soil at the site. Having close-to-natural soil horizons is preferable. Highly compacted soils will end up as an inhospitable environment for plants and trees. Landscape supply companies need to stop screening the topsoil they add to landscapes. Soil that has been made uniform through the screening process is more likely to compact. Also, landscape pros can reuse soil at the site by setting it aside while mechanical work is ongoing. Additionally, purchasing healthy plant material is key. Pot-bound plants and trees suffer greater stress-related symptoms. Landscape contractors need to be more vigilant in selecting quality nursery stock, including rejecting inferior plant material from their suppliers. Landscape designers should also stop overplanting sites. Far too many trees are planted too close to structures, walkways and parking areas, where conflicts are inevitable. There are international standards that have been established for decades by the American National Standards Institute. Much of what contractors can do is to educate themselves and their staff and then apply what they’ve learned. Did you know there are generally accepted practices for the tree care industry? They are American National Standards Institute A300 Standards, developed by the Tree Care Industry Association and written by the Accredited Standards Committee (ASC) A300. The voluntary standards are divided into 10 sections of tree care practices, such as planting and transplanting, pruning, soil management, tree risk assessment and more. The ASC A300 is comprised of representatives and experts from a broad group of industrial and governmental organizations. The committee’s mission is to develop consensus performance standards based on current research and sound practices for writing specifications to manage trees, shrubs and other woody plants. Learn more at TCIA.org.